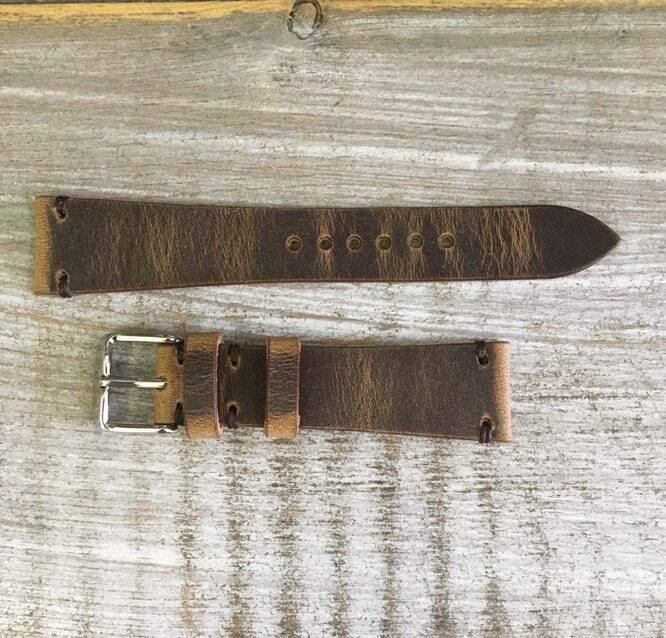 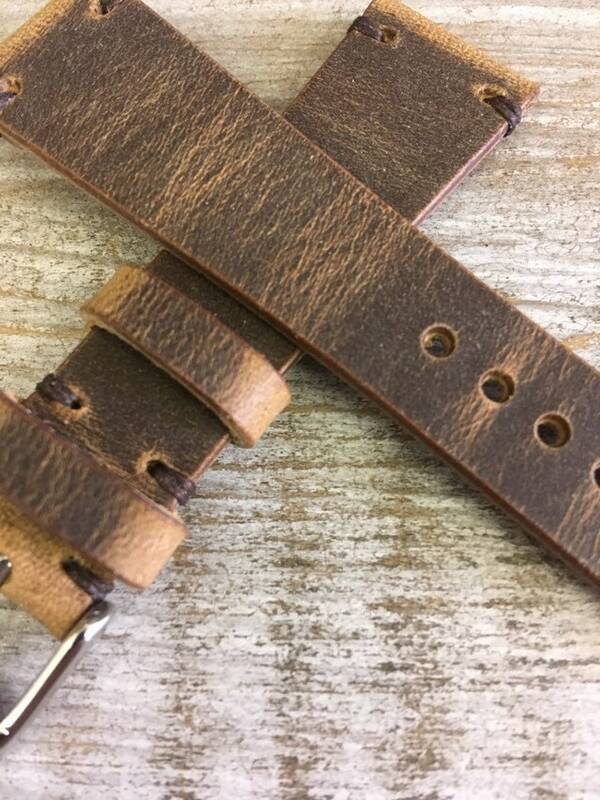 For sale is this Horween Spinnaker 2 piece watch strap. 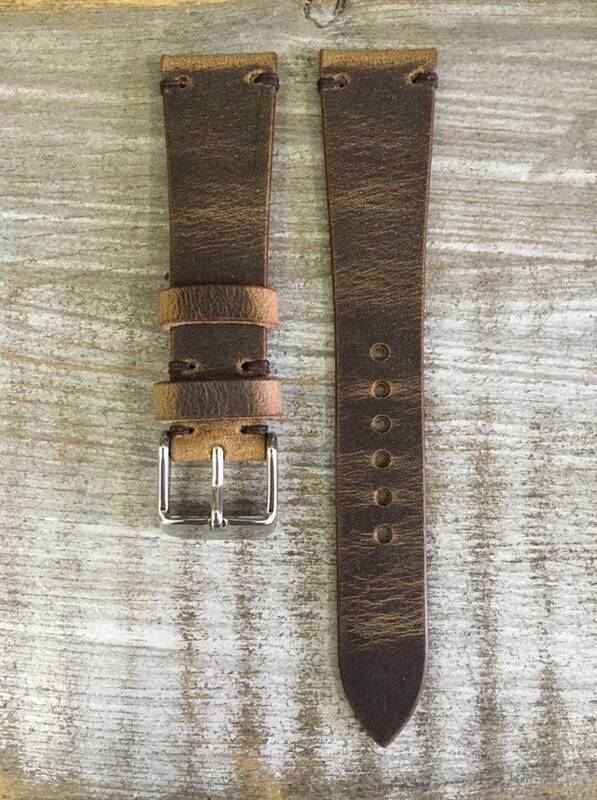 Horween Spinnaker is a tough and sturdy leather made by the famous Horween factory. 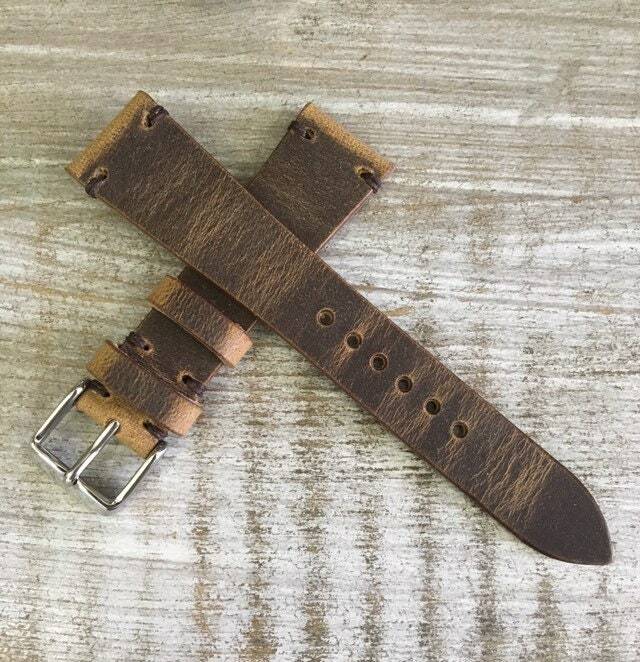 This leather has a truly remarkable pull up effect with a specific vintage feel.